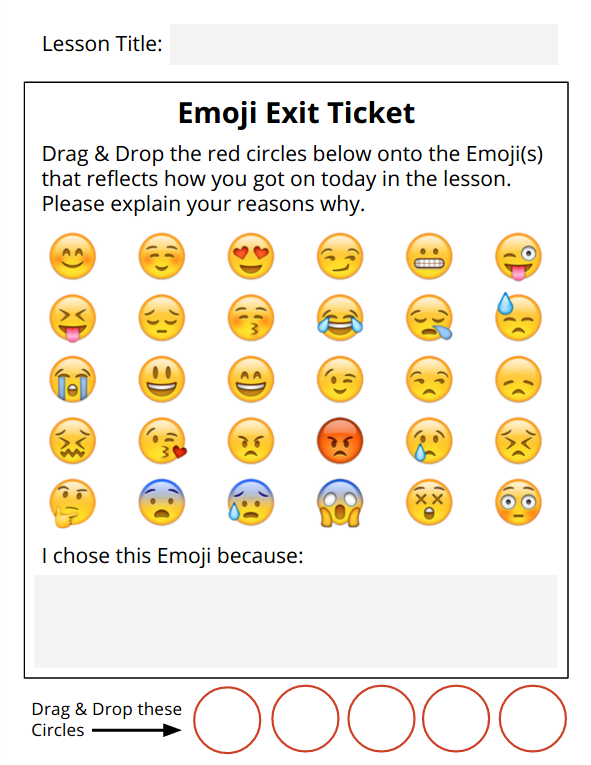 I discovered this cool Emoji exit ticket on Twitter this morning. The graphic was meant to be printed off and passed out to students so they could circle the Emoji to indicate how well they understood the lesson as well as to write down an explanation as to why they chose that particular emoji(s). I thought this might work well digitally as a Google Slide. The students have the option to drag and drop the circles and type in their reflection explaining why they choose that emoji. Once complete the students can share their feedback with their teacher. Click on the image below to make a copy of the Google Slide.